A total of 24 passengers on Friday survived a boat accident involving two boats that collided at about 7: 45 pm in Ojo area of Lagos State. 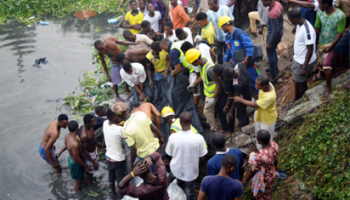 Managing Director of the Lagos State Waterways Authority (LASWA), Damilola Emmanuel, who confirmed the incident, said one of the boats was driving at full capacity with 22 passengers, while the other had just the boat captain and deckhand on board. He said that the affected boats (Toba Marine and Eco Lima) were in the custody of LASWA at the terminal until conclusion of investigations into what led to the collision. Emmanuel attributed the success of rescuing all passengers alive to the fact that they were all putting on life jackets, which according to him also made rescue efforts a lot easier. He said that the 1,500 life jackets were distributed within 2017 and January 2018, and that more would be distributed in the course of the year.